We arrived at the Highlander Center on a wet, cloudy day. On clear days the view behind the fog is the clear rolling hills of the Blue Ridge mountains. It has been a very busy and thought provoking couple of weeks for us. For me it began on the day before what the US government calls “Columbus Day,” attending a workshop organized by Paula Palmer of the Boulder Friends Meeting’s Indigenous Peoples Concerns Committee. The workshop was entitled “This Land Was Your Land” and traces the justification for appropriating Native peoples’ land to a 15th century Papal proclamation called “the Doctrine of Discovery.” The workshop provided a moving experiential activity exploring the implementation of this doctrine in the occupied United States and the subsequent oppression, dehumanization and genocide of Native peoples here. It explained through first person accounts how the Doctrine of Discovery has essentially been codified as law. It made me think a great deal about the ideas we cling to in order to justify our actions, especially when tied to a place and living on land acquired unjustly. I took this in mind as we headed South to visit my old stomping grounds in North Carolina, seeing old friends and my college but also checking out new places. We visited the Highlander Research and Education Center in New Market, Tennessee. Highlander has been intimately involved in the reclamation of place and culture in Appalachia for over 80 years. It began as a folk school that helped local miners, white and black, organize to form labor unions and challenge their bosses living in the bottomlands. This illegal cooperation between white and black laborers inspired organizing during the civil rights movement, hosting Martin Luther King Jr. , Rosa Parks and Pete Seeger at workshops about nonviolent movement building. The school was closed down by the State of Tennessee in 1961 and its land confiscated under accusations of ties to the communist party. It took another decade of itinerancy before Highlander landed at its current place in New Market on a former Quaker community. It was inspiring to hear about this multigenerational history of place-based resistance and organization. In fact, I learned there is such as term as “place-based organizing” at Highlander. They mentioned other projects around the country and encouraged us on our place-based aspirations in Italy. We’ll definitely stay in touch and will remain inspired to draw wisdom, courage and direction from the land and people around us. 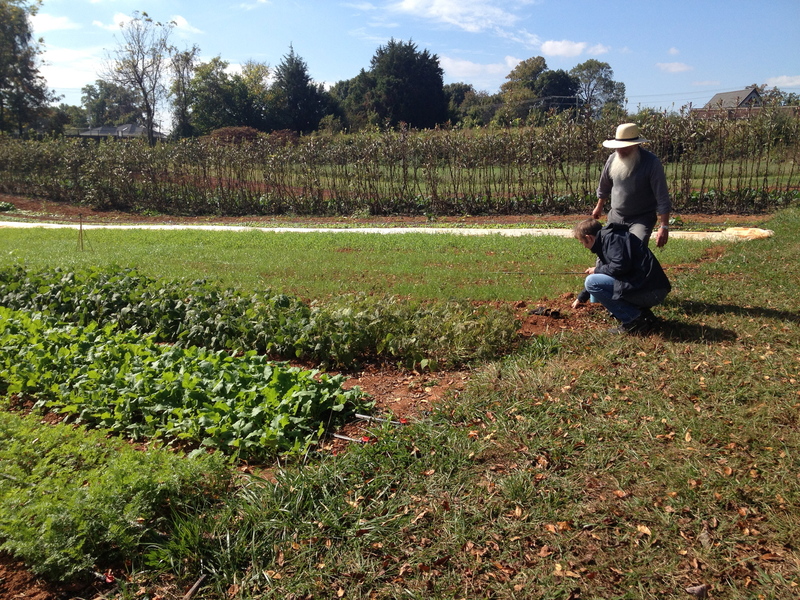 We also had the chance to visit the new farm on the Guilford College campus, built since I graduated and now supplying the cafeteria, local CSA members, and soon a “mobile farmer’s market” in Greensboro’s food deserts. I cherish this experience for you , Evan particularly in the light of your new job.